Platinum Polish was born out of a burning desire and passion for vehicle detailing. Our child hood played a vital role in shaping this attitude. Abbey & Saj both brothers & founders of Platinum Polish have been detailing vehicles for the past 20 years. Our experience working with such a vide verity of performance, sports, prestige &super cars has given us expertise& superior knowledge to obtain breath taking results. 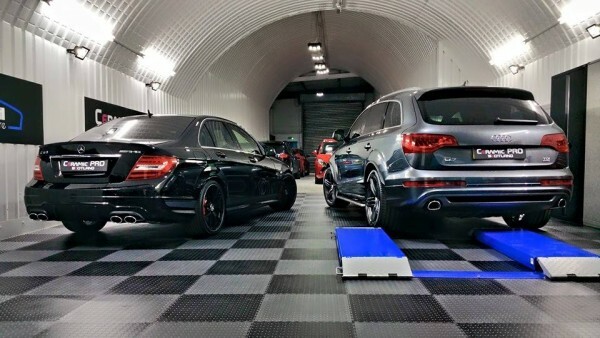 Within 3 years since our business was established in 2012 we have taken the Scottish detailing market by storm. Boasting a 2300 sqft purpose built premises; we have heavily invested in our business both in technology & bespoke products. This was noticed by Nanoshine Ltd the creators of world famous Ceramic Pro glass coating who were eager to endorse & accredited us to be UKs first Ceramic Pro applicators. It’s simple we are perfectionists. Car care is our passion and we aim to surpass the expectations of our clients. We recognize that car fanatics, whose cars are their pride and joy, demand a professional service and we at Platinum Polish provide the best car detailing & valet service possible. We believe that all cars should be prepared to the same high standard whether the vehicle is sports, prestige or a super car. The level of work which will be carried out will be second to none as we have invested heavily in specialist equipment, premium car care and detailing products with comprehensive risk insurance cover. Please note that we are not amateur enthusiasts; we have a wealth of experience and that detailing is our full time profession. Detailing in cold, cramped domestic garages or in exposed commercial settings is not conducive to producing first class finishes and for this reason we do not offer mobile services for any Detailing work. Our aim is always the same; to detail your car to the highest possible standard, and in order to do this we need to do our work under perfect conditions in our preferred environment, this heated and purpose build studio features a bespoke day light lighting designed to show up every single imperfection in the paintwork. Specially designed infrared heat lamps are used to force cure ceramic pro glass coatings for optimum results & Durability. PVC interlock Tiles are laid over 90 square meters to minimise dust. A 3200kg scissor lift to ensure every inch of your vehicle is prepped polished & protected. We have invested heavily in equipment & technology to ensure breath taking results. Our studio is fully alarmed & fitted with CCTV: There are also locked security bollards at the entrance of our unit. Fully comprehensive risk insurance cover & motor trade policy, enabling us to pick up & drop of vehicles. Thus ensuring our clients having a peace of mind while leaving there vehicles behind.